We love Pinterest just as much as the rest of you. Yep, we’re addicts. Is there anything you can’t learn there? From how to get gum out of the carpet, to the best wedding ideas, to what country to travel to in April, to… well, our bread and butter, DIY projects! With the thousands of projects we see, we know it’s really hard to just pick one. Like, really, really hard. 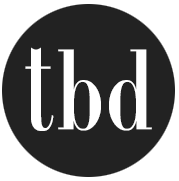 So we thought we would find for you the best (budget) DIY projects on Pinterest and share them with you, so that you can check out these great tutorials and maybe choose one! Or two… or one for each room. Or one for each month for the next year… Ok, let’s pull it back in here, and just start with one, ok? Make sure to tell us your favs in comments when you’re done! So we HATE builder bathroom mirrors. Who ever thought slapping a piece of glass on the wall with plastic clips was good design? But that’s ok, we have Pinterest! 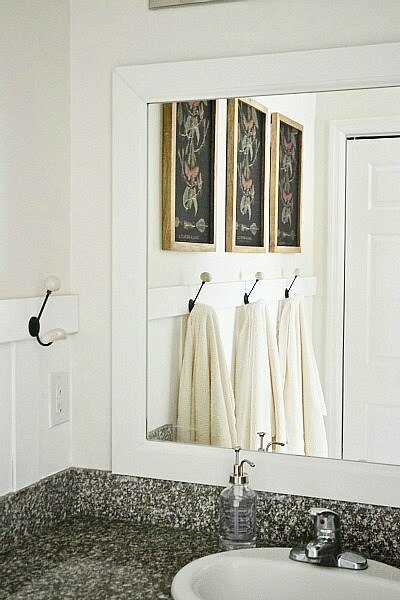 Try these DIY framed bathroom mirrors from ‘Liz Marie’ to get rid of that builder bore. 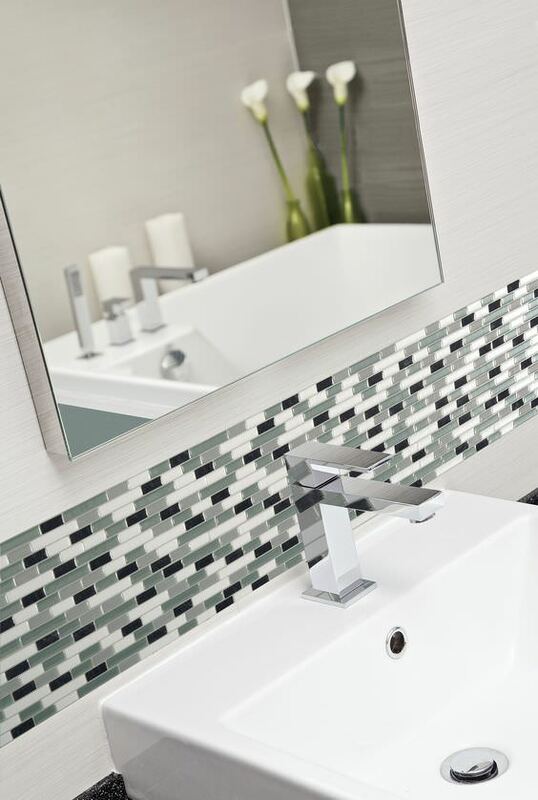 Can you believe you can install a new backsplash with self stick tiles? Really? 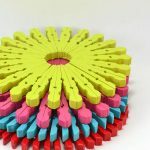 ‘Smart Tiles‘ lets you do this without all the work and expense of traditional tiling. This is basically an Ikea hack from ‘Ana White’ (genius!) on how to build a Gabriel wall system hanging organizer. There’s also a tutorial on how to build the Pipe Hanging Bar as well! We love her site because you can see the exact project done by other DIY’ers too, not just her. 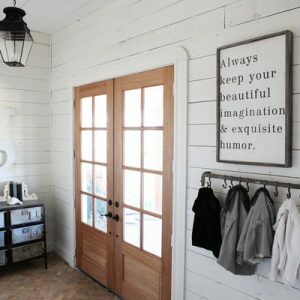 I want this for our mud room! 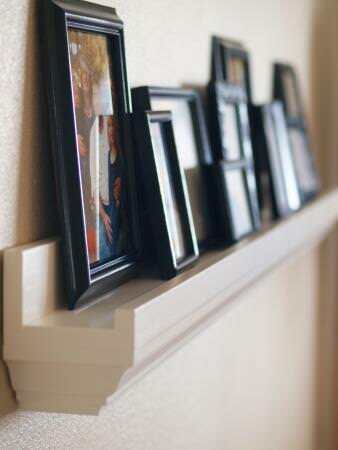 Also from ‘Ana White’ a reader offered up their ten dollar ledges, fancied up with crown molding. Easy way to make a room look more expensive. 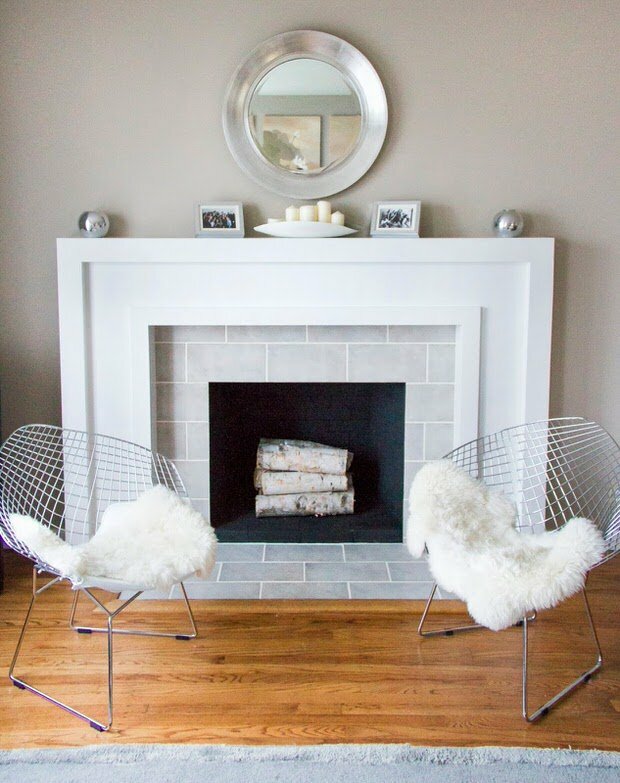 Love this DIY fireplace makeover from Stephanie at ‘Swing N Cocoa’. You have to go look at the before photos, you won’t believe this is the same fireplace! Amazing makeover project! One of our favorite furniture makeovers, from Corey at ‘Sawdust 2 Stitches’, is this $5 garage sale cabinet turned into kitchen island. Wow, right? We love Joanna and Chip Gaines from HGTV’s “Fixer Upper”, and they also have a website called ‘Magnolia Market’. 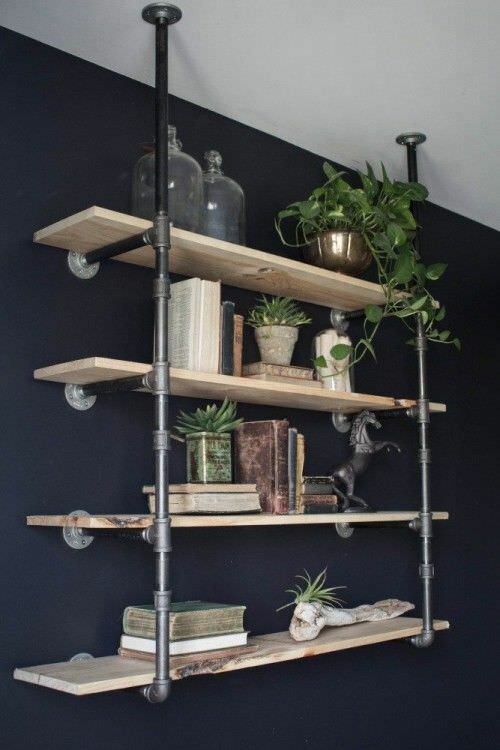 This DIY open pipe shelving is a project they did for a client, and they have a full tutorial. Love it! We love weathered wood, mostly because it tickles that rustic need in a modern home. Few things are as trendy now, either. (Ok, maybe chalk paint.) You can make anything from it, from a backsplash (seal it!) to a coffee table. Find out how to make weathered wood from ‘Cherished Bliss’, and you will have a never ending supply for … well, just about any DIY project you want. Another easy budget project? 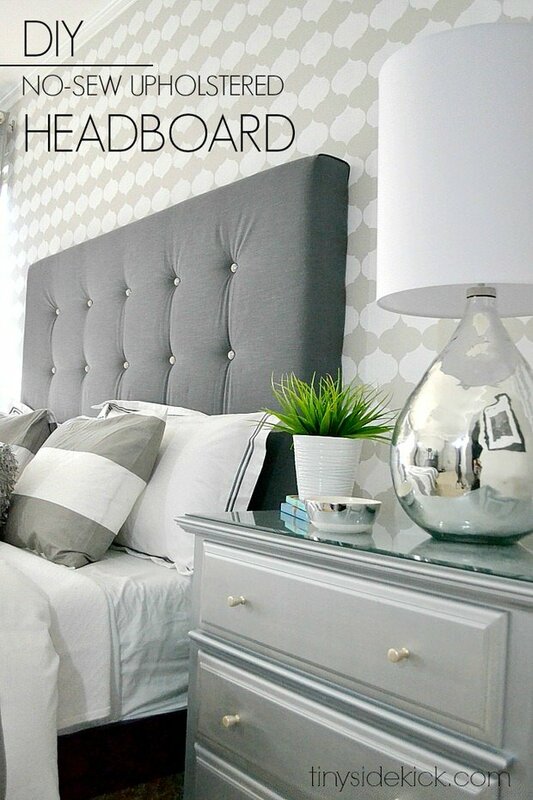 This DIY upholstered headboard from Corey at ‘Hey There, Home’. It has a really upscale look and can be done by a beginner DIY’er. 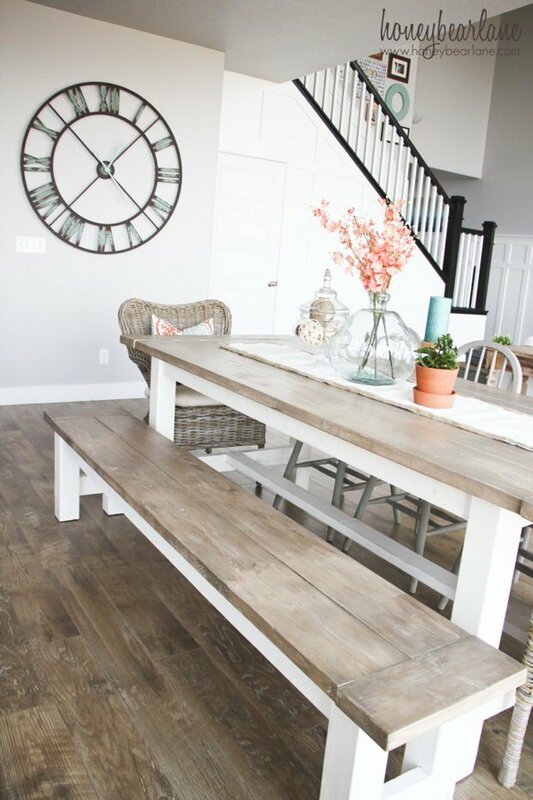 Heidi at ‘Honeybear Lane’ build this DIY farmhouse table and bench for less than $100! First of all, this looks expensive, like something you would see at Pottery Barn or even Restoration Hardware. For $100? 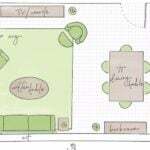 Her tutorial is great, too, with link to the free plans. You can do this! 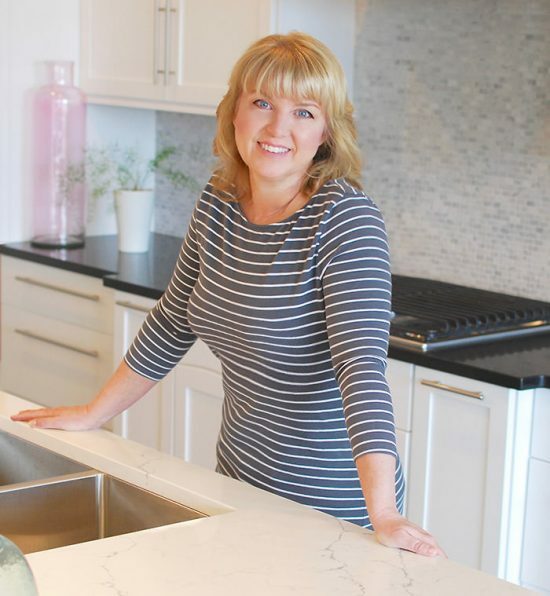 Lastly, freshen your kitchen without spending a lot of money on new counters. 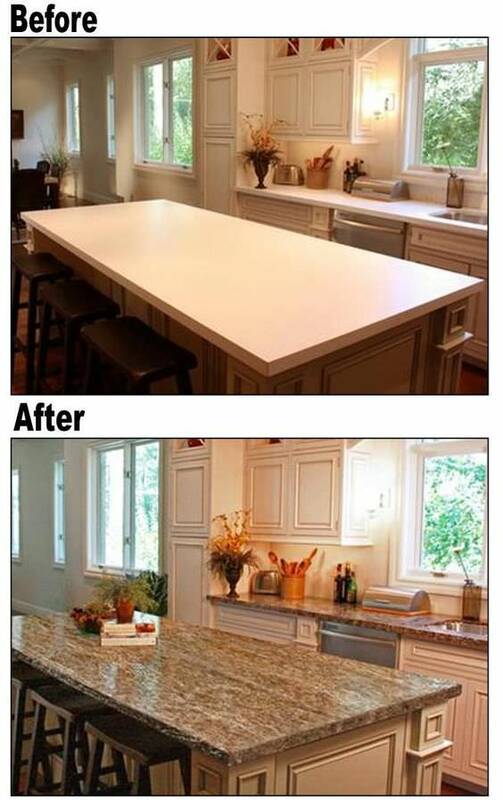 ‘DIY Network’ shows us how to paint laminate countertops to look like granite. 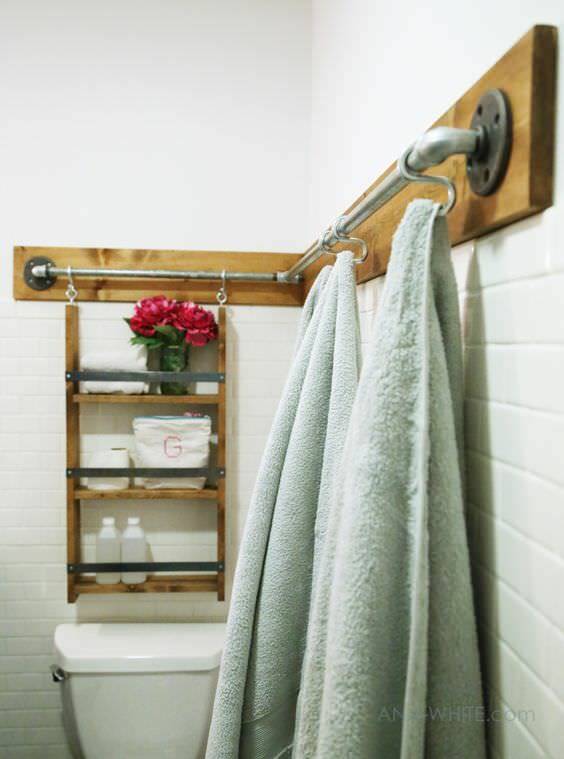 Did you get lots of great ideas from these budget DIY projects on Pinterest? Great! 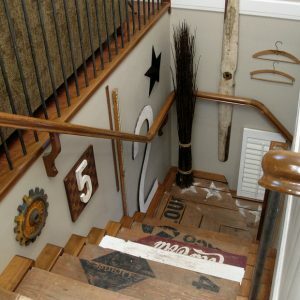 Then try our post on the best HGTV DIY projects!